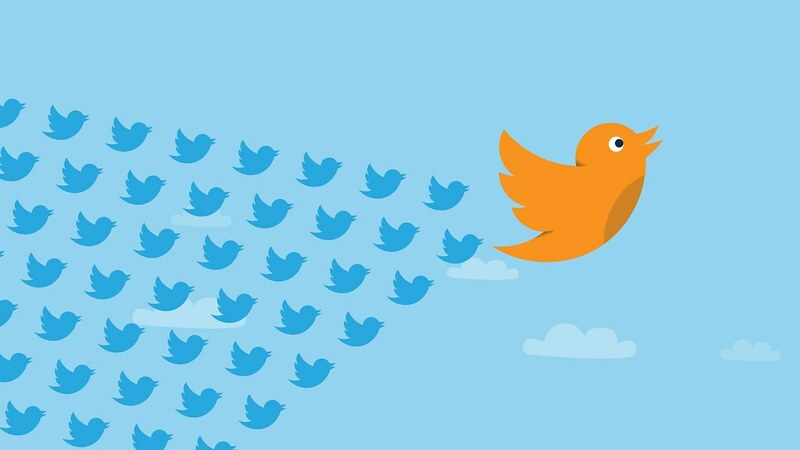 When I told my class we were starting a classroom Twitter account, they were VERY excited!! I showed them their current school account, as well as my own, and gave them a few pointers about what “followers”, “retweets” and “likes” meant(they seemed to be well versed on what “hashtags” mean). We decided to use a name that identifies us that you are welcome to check us out YQRClassroom @MYVI2018 but SPOILER ALERT we haven’t “tweeted” anything yet. In the following weeks I plan on encouraging their ownership by giving them opportunities to write the tweets. This may be a question they have or comment about what we are learning with the intention of linking to the Nine Themes of Digital Citizenship focusing on communication, literacy and etiquette. I will be leading the tweeting so to speak. If you are new to Twitter this website can give you the basics Twitter 101. Next up on my exploration of Social Media apps, I decided to ask my students what apps they currently use. A few mentioned Snapchat but the most common app was YouTube. At first I even questioned if YouTube was even a “Social Media” app but after further investigation, I discovered that it sure is!! How do I use YouTube as a platform to engage the learners in my classroom? I already use videos in Math and Science but I have never created anything myself. Well, the first thing I did was search for videos that could help me out. This video that I found from Edutopia explains the basics of how to use YouTube but I am left with questions about how I can create videos that will have an impact on learning. Well I now have a direction……find the tools that will help me CREATE my own videos on YouTube. How do I do that?!?! Further investigation and probably some bumps in the road are anticipated. I guess I am “learning to fly, but I ain’t got wings”(Ode to Tom Petty RIP). The world is changing……A LOT!! How is that going to impact the next 20-30-40 years?? The answer is…..we don’t know!! SO how do we prepare our students for a world that we are not sure what it is going to look like or even need? Well I feel that my job as an educator is to prepare my students for anything. They need to be able to have the skills and the confidence to diversify. This article has some ideas about what will be Shaping the Future of Education in 20 years that I agree with: students will learn at different times and places, more choice, personalized learning and ownership of their own projects and learning, as well as, assessments that reflect ways of applying their knowledge. I believe that as long as parents need to go to a workplace then students will need to go to a school but what happens in that building will look very different. Teachers responded with more creativity and classrooms looking like a makerspace according to the article What’s the Future of Education? I do believe that education can happen from anywhere but what will society lose if we decrease the face-to face social interactions that our students currently have on a daily basis? Which leads me to think about common values, that I believe(and hope), will never change; like showing empathy and compassion. Will we lose the ideals about “waiting your turn” and “treat others the way you want to be treated”? These continue to be important building blocks for interpersonal skills so if most of the interacting students will do in the future will be online, what impact will that have on society? After all that discussion about what could possibly change or stay the same, I ask the question: Will schools BE the place where students develop their skills for the future or NOT BE because education has a difficult time evolving? I must admit something……..I was born in the 70’s, that’s right-I’m THAT old!! Which means according to David White’s video Visitors or Residents, I am a visitor which I actually do agree with. I use technology as a tool to find something or accomplish a task. I do not feel that I have an online identity(although I am building one here). I still remember when I was around 12 years old, my Dad brought home our first ever computer which was used more like a word processor. The typing was only one color-green and when you printed your writing out the printer had a roll of paper with perforated holes on each side that you had to tear off. It was only 4 years later that I started my first email account(which I still have) and began searching for information on the “World Wide Web”. So does that make me a “Digital Immigrant” to the current generation of “Digital Natives”? That’s right I grew up in the age of the “Cabbage Patch Kids”-the original ones!! I agree that the description in the PBS Idea Channel video about growing up with more access to technology doesn’t mean they are versed in the facts of how they function. I also think that your attitude and motivation to learn about technology can have an impact on how “intelligent” you are in it, or as Prensky would say Digital Wisdom but the facts are the facts-my generation did not grow up having an online identity. So how does this affect me as an educator? I used to try to be in touch with the latest trends in technology and I could teach my students something new but in the last few years, I know I am not keeping up(and who can these days) and it’s my students who are now showing me digital trends. I agree with Logan, when he discusses important points from Prensky that education and teachers in particular need to evolve and listen to their students in order to create 21st century citizens who think more and create products to show their understanding. I am hoping this course will enlighten this “guest” to bridge the gap closer to it’s “citizens”.